Ah here it is!! 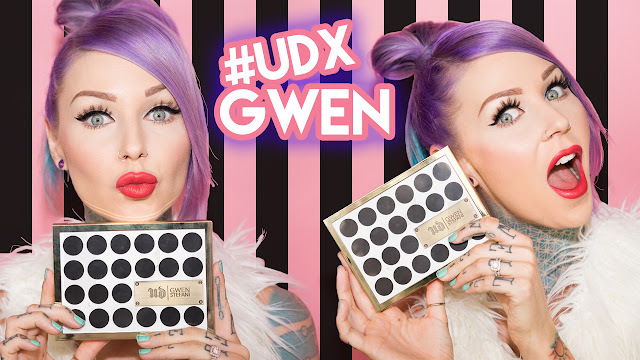 The first look at the gorgeous Gwen Stefani palette by Urban Decay and Gwen Stefani. I was SO stoked to be a part of the #UDxGwen event with Gwen Stefani. I had the amazing opportunity of not only hearing about her journey creating this palette but we got to meet her! She is so lovely and dang does she look better than ever! I hope you enjoy exploring her palette with me! *I will also have a tutorial on this look coming out on Friday! You'll be able to grab this palette on November 22 HERE.